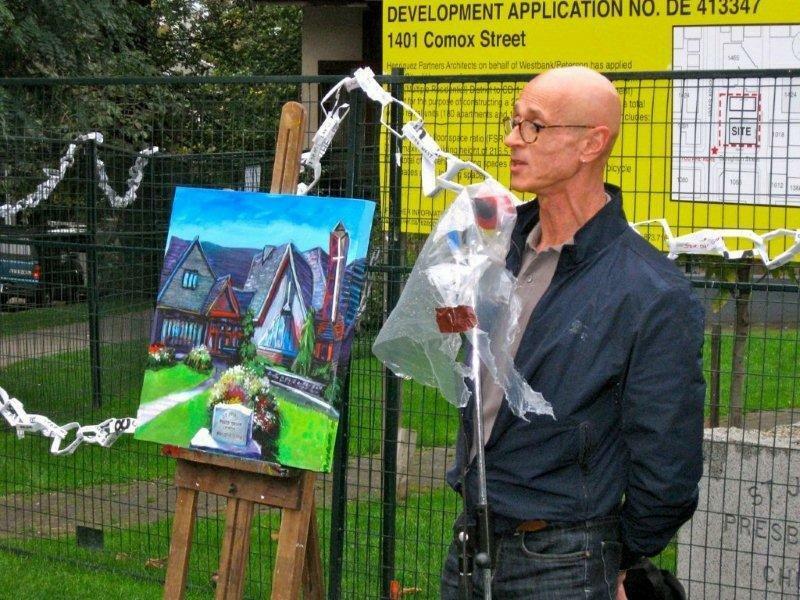 Popular Vancouver artist and 30-year resident of the West End has dedicated himself to helping preserve the livability and character of the West End. He has created a series of paintings depicting precious and endangered scenes in our community and is donating part of the proceeds for this cause. See the gallery here. Before the demolition of this cherished landmark he unveiled “Death By A Thousand Cuts, The Execution of St. John’s”, a commentary on the savage razing of Vancouver’s St. John’s Church. By artist Tiko Kerr. May 19, 2011, at 1401 Comox Street, Vancouver, BC, Canada. 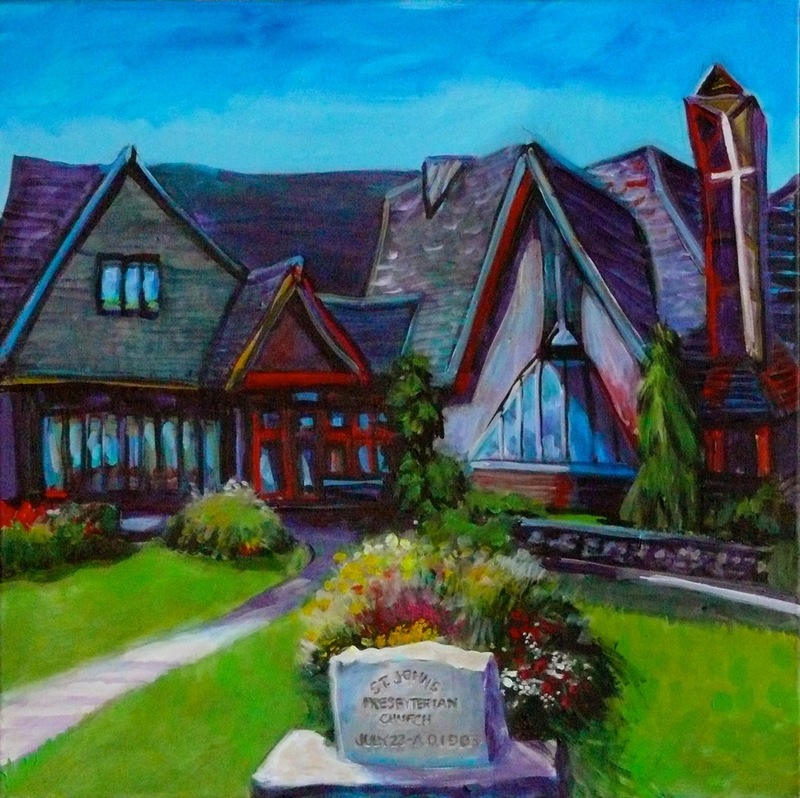 (Vancouver, October 25, 2010) As part of the weekly WEN rezoning hotspots walk, on Saturday, October 23, popular Vancouver artist Tiko Kerr unveiled an original acrylic painting titled “Heritage Takes Many Forms (St John’s Presbyterian Church)” in front of the West End heritage church, a site slated for a controversial rezoning to make way for a 22-storey tower. After the unveiling, the West End Neighbours held a street-corner information session andplanted perennial flowers and edible plants as a sign of hope for the future of this site. The St John’s Church site is one of about ten ‘spot rezoning’ sites. The city needs to respect existing zoning guidelines and take a more comprehensive view of planning needs in this community. We also need a public discussion about the best use of this particular site that has served and was supported by the community for over a hundred years.